"Science Literacy: Using Research-Based Facts To Make Real-World Decisions"
Strategic Discussions for Nebraska. As the next generation of leaders is entering the educational pipeline, it’s important to have an emphasis on science, technology, engineering and mathematics (STEM) to solve the grand challenge of feeding 9 billion people by 2050. 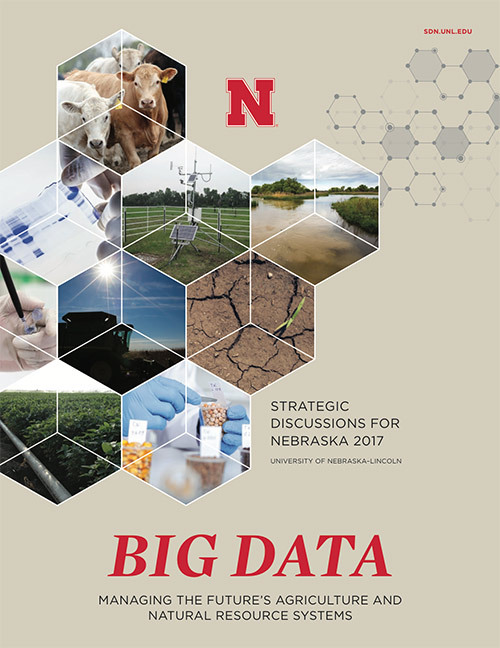 "Big Data: Managing the Future’s Agriculture and Natural Resource Systems"
Big data is the incredible flow of information that surrounds each of us, every day. Big data tools identify patterns and habits, not only in research, but in manufacturing, logistics – even ordering items online. This issue explores the mutually beneficial partnerships that help to provide the people, funding and innovation that benefit Nebraska and the entire world. These collaborations also bring together individuals and institutions who seek to solve the world’s most important issues. The fourth annual publication of Strategic Discussions for Nebraska. 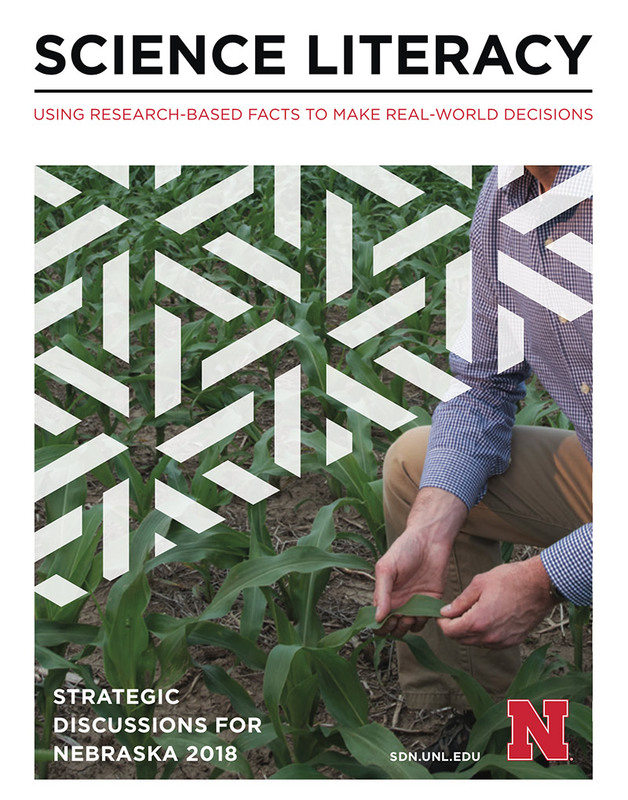 Opportunities for Nebraska, Volume Two: Energy, Climate and Sustainability is the second annual publication of Strategic Discussions for Nebraska that explores the impact and relevance of University of Nebraska research. Opportunities for Nebraska is the first magazine in a series that showcases University of Nebraska-Lincoln research. The world population is expected to grow to nine billion by 2050 and this research will result in producing twice as much food with the same amount of land and water. Watch and listen as UNL experts tell the stories of research and innovation at one of the top research universities in the country! UNL student researchers along with SDN conducted a major research project to study the ways Ord residents communicate about what is happening in the community. Published in June 2009, Nebraska's Economic Future includes a summary of findings; stories based on individual interviews; summaries of community conversations; and articles written specifically for this magazine. The articles represent varied geographical perspectives as well as perspectives on various parts of the state's economy. SDN published research on Immigration in Nebraska for the project's initial study in May 2008. We selected Scottsbluff, Lexington, Crete and Omaha and looked at the impact immigration has had on those communities.